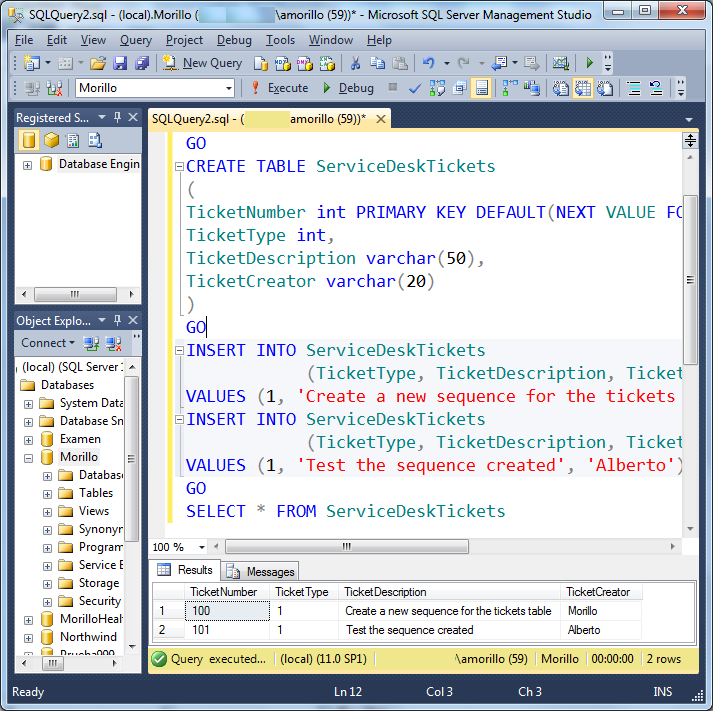 SQL Server 2012 introduced sequences as a new way to generate incremental sequential values that can be used for table primary keys. Sequences can be used instead of identity columns. 1. Sequences can improve insert performance. Sequences offer better performance on tables receiving huge amount of inserts. 2. Sequences allow to know the last primary key value used without having to read the last record inserted or without using SCOPE_IDENTITY. 3. Sequences offer a way to generate a unique key value that can be used for many tables on a relational database. 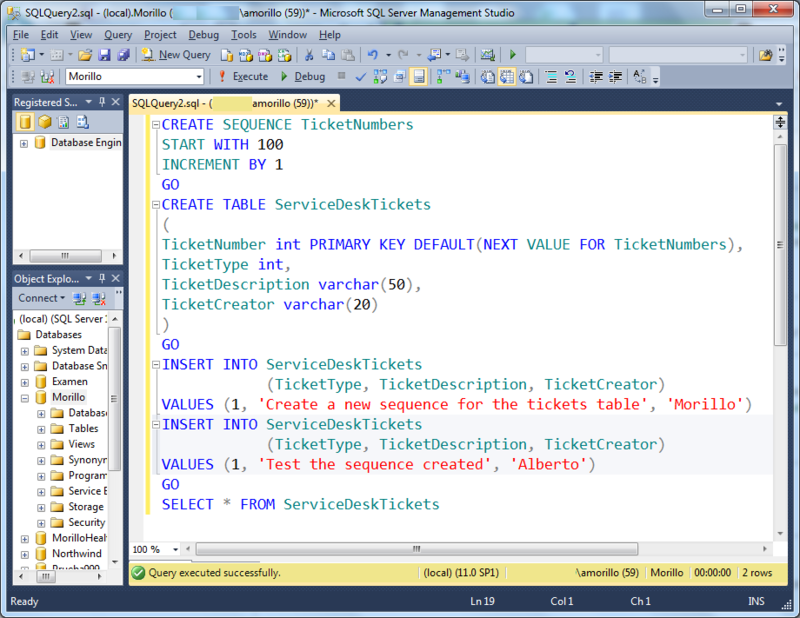 the next available value in the sequence as the default value for service desk ticket numbers.